Valentine’s Day is just a few days away, so you want to surprise your significant one with something special like these Valentine’s Day cupcakes. Buying or baking sweet, tasty cupcakes is a recipe to set the romantic mood between the two of you. With a dash of love and kisses, these cupcakes will surely make your date unforgettable. Make your loved one happy, loved and special with these DIY last-minute Valentine’s Day cupcakes ideas I collected only for you. 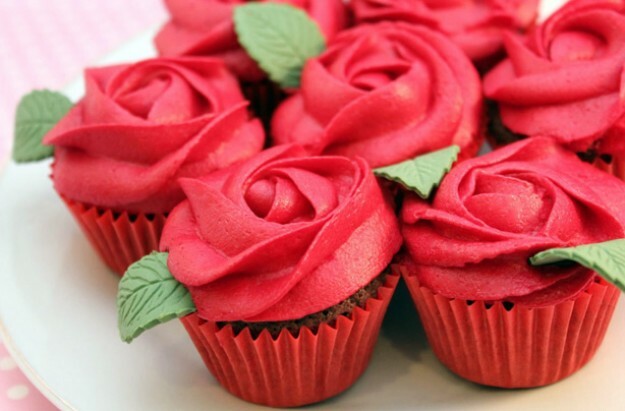 Red roses are absolutely romantic, so why not put them on top of the cupcakes and make that person happy on Valentine’s Day. Click here for recipe.